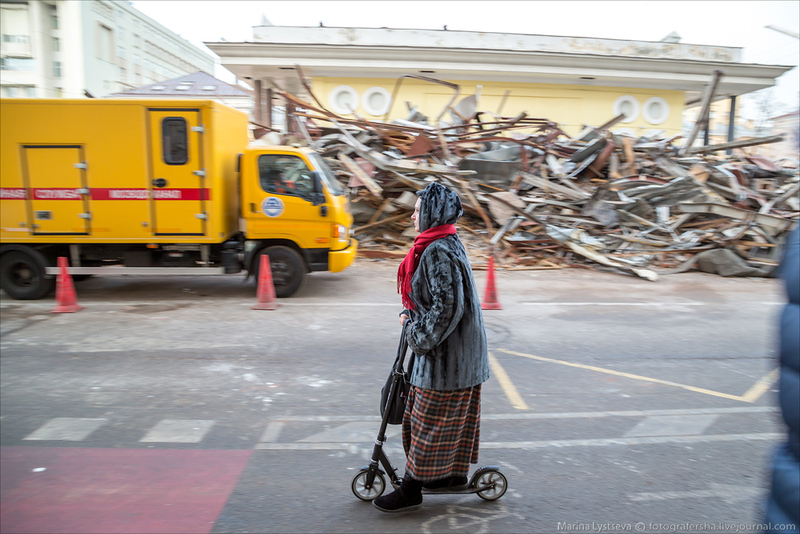 The owner of the “Pyramid” has changed in February and the demolition started voluntarily and earlier than the prescribed date (24th of February). It started today at 10 a.m. This is how it looked. Here was a work of Zoom – talented street artist: a graffiti based on a well-known movie. The inscription appeared later. Don’t know, who’ve made it, but it’s not a part of the original idea. Novoslobodskaya. 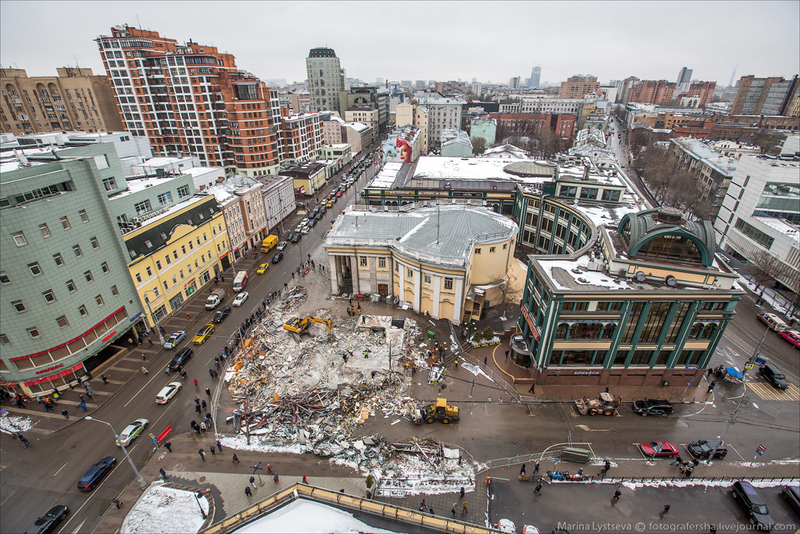 Part 2 you can see here) Where was the pedestrian subway? Beneath the pavilion? Did anyone use it? 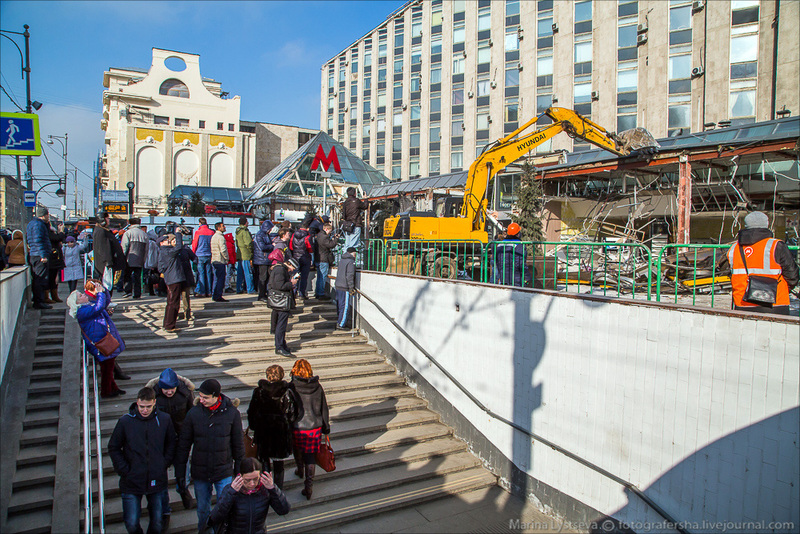 Only the third part of the pavilions at Gogolevsky boulevard have been destroyed already. Owners of the rest are waiting in fear. 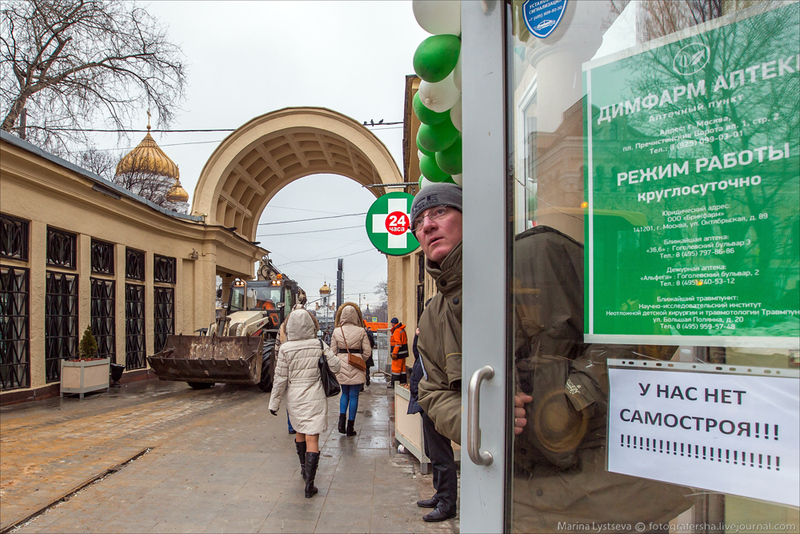 The stalls without construction permit were drifted all over the town. These have been built under Luzhkov and are destroyed under Sobyanin. Streets are becoming more clean, beautiful and free of the advertisement rubbish. However, that’s a bit a point at issue.